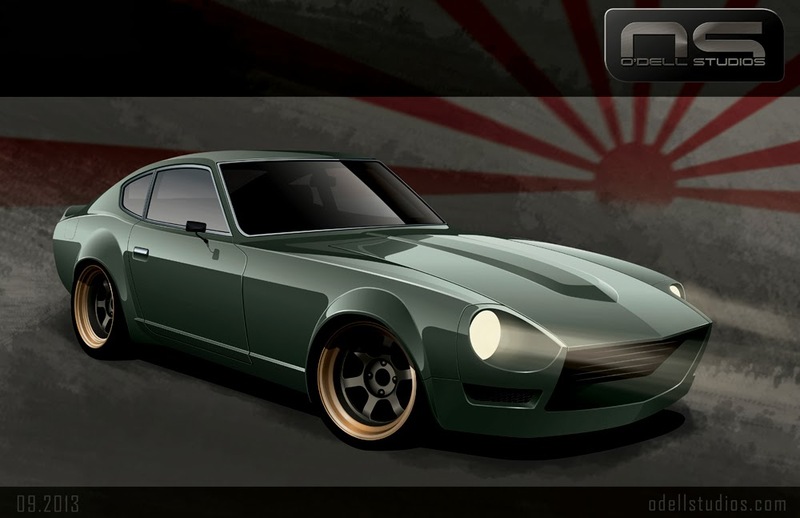 Who doesn't love these vintage Datsuns - the mighty 240z and its siblings? My goal here was to keep it somewhat vintage with the classic styled Volk wheels and mirrors and such, but also give the body the full treatment for something new and unique. Flares are obviously common to these cars but the front valance typically seen on them usually looks poorly fit and these days, all too common. Like a lot of cars from the 60s and 70s, the bumper is there only out of necessity and looks it. Therefore we often see the bumper omitted, and the flares slapped on, then it's off to the track for a good day. I wanted to do something that was new, but at the same time still looked almost like it could have come from the factory if the designers had been left to their devices and unbound from governmental regulations. 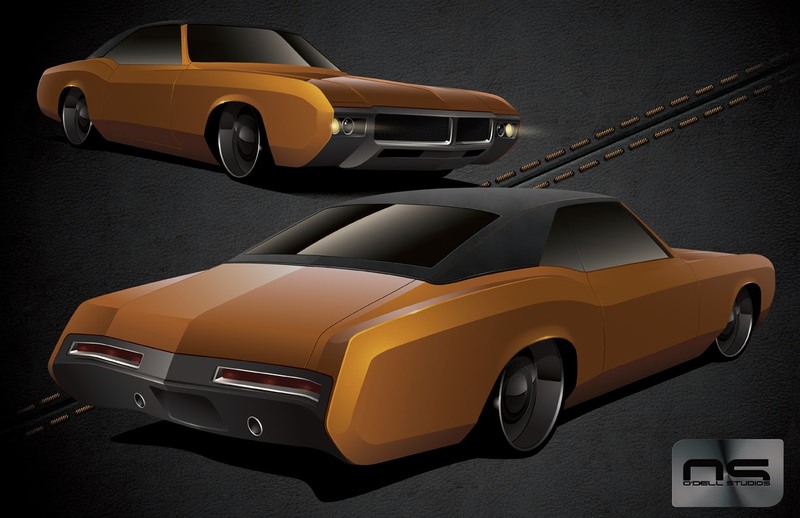 At the same time I do like the rough around the edges, track prepared look of bolt on flares, and front spoilers that don't exactly fit, so this may be one to come back to when time permits for a different flavor. I went just a little wild on the two-tone wheels, but only because I've gotten to a point where I have to mix things up to stay interested while trying to make a design work with unique color palettes. The wheels are really supposed to be a matte finished bronze and warm gray. I tried not to make them look shiny but certain textures don't translate in art the way they might in person or different lighting. At any rate, it all works and I think would make a very eye catching 240z on the street for sure. Part 1 introduced this particular air gun and the concept of .177 or 4.5mm steel BB guns as more than just toys for plinking pop cans. 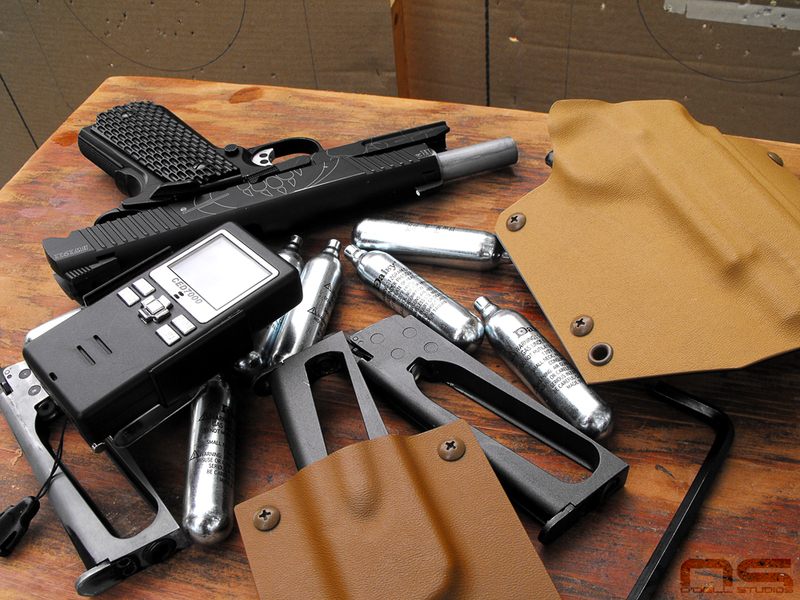 The airsoft world has overlapped into the firearms training realm and has been growing in legitimacy and popularity for some time. However, it seems that CO2 powered guns firing .177 caliber steel BBs sort of stay slowly turning in the same rut they've been in for years. In all honesty I'm not sure that airsoft guns couldn't essentially merge into what I'm talking about here but I think there are a couple benefits to the steel BBs. Airsoft has the benefit of being a popular and large industry and it can be used in force-on-force training where law enforcement officers or soldiers can engage the most realistic target available; a person. Obviously steel BBs aren't going to fly in that sense. But the reason they don't work in that role is the reason I think they work better for my intended use. The typical .177 steel BB is approximately equal to a .35 gram airsoft BB which by their standards is considered heavy, but the point is that steel BBs aren't wildly heavier, they are simply more dense in a smaller package. In theory this should result in better overall trajectory and range, plus less resistance in flight. 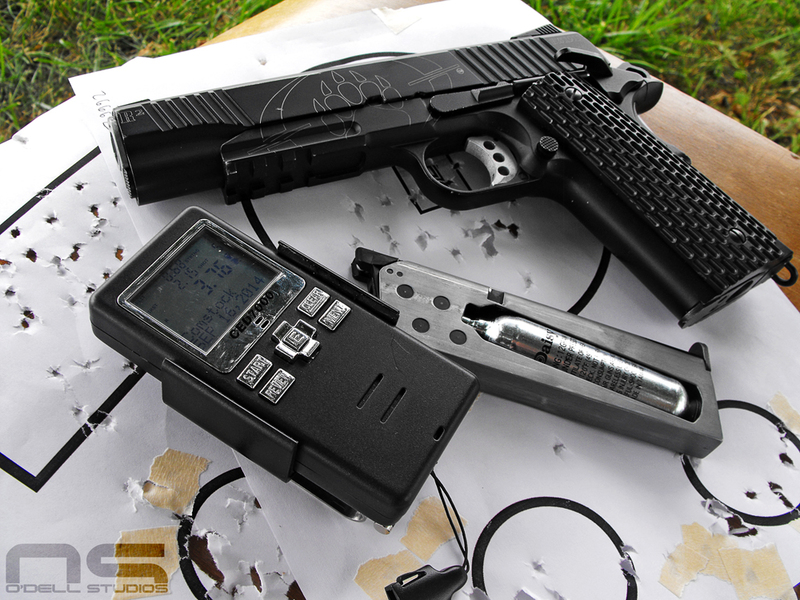 What's more, just because .35 gram airsoft BBs are available doesn't mean they will perform well from pistols. I hope to be able to conduct some kind of test on this concept and that might come in part 3. Availability is also a benefit, though not necessarily significant. But, what I wonder about is the potential of pellets and the inevitable technological improvement that comes when a product or industry gains popularity. I imagine a pellet that has been cast into a different shape, or perhaps a plastic sabot (like Umarex Hyper Velocity) allowing it to be stacked in a magazine like traditional firearm ammunition, and provide better accuracy, more range, and more power. For now, the concept seems to be catching on as there are a few pistols that I think work and even an AR-styled rifle (Umarex) - though it needs a lot of work. The manufacturers are seeing the writing on the wall, but they still haven't made the leap from the old market to the new. An ACR-styled gun (Crossman) that you have to pump? This just makes no sense to me at all. They realize people are interested in modern guns but not modern uses of air guns? The places selling these guns are still selling designs that are decades old. They apparently sell enough of them to make a buck, but not to innovate. I personally think it's simply a matter of making the product and marketing it correctly. So the marketing is going to be for competitors - as in, create a sport specifically for air guns styled around IDPA and make a gun that fully meets the demands of that sport. Secondly, they are training tools. I could go on a rant right here, but I mostly covered it in Part 1 so let's get into the gun itself. I go into my local Walmart strictly to check on ammunition, otherwise I avoid the place. This last trip I scored Tula .223 for $5.27 a box and they had a fair amount of it - before the "scare" it was $4.99. This should have made me happy but it really just made me more angry. After this I went to the net and started looking for this ammo specifically. I used to shoot lots of it. It was out of stock everywhere I looked when listed for the normal price - honest places like Midway. However, every other place that claimed to have it in stock wanted twice the normal price and one place had it for $15.00 a box. I will not pay these scum bags these prices. These people are supposed to help support the firearm community and they do nothing but hurt it by being greedy opportunists. Period. If you're buying from them, you're part of the problem. 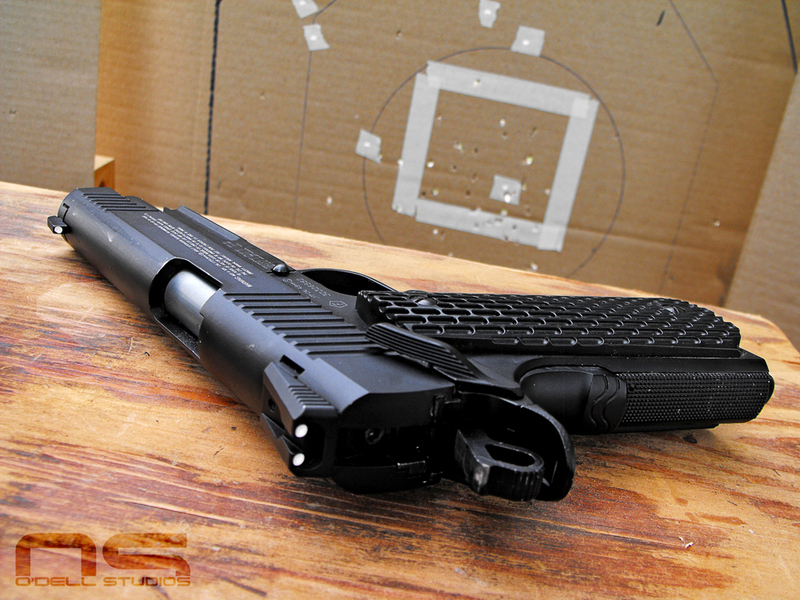 SOOOO, enter the KWC Blackwater air gun. Honestly, even after writing Part 1 I was skeptical (UPDATE: I was right to be), and I'm the one thinking this is a great idea. I shot the gun a little and I was like, meh. If you're someone who competes or shoots plenty, plinking just gets old. I have to mix it up. That's when I discovered that my CED7000 set to the highest sensitivity WILL (and somewhat reliably) pick up the shots from this air gun. Yes, CED makes an airsoft version, no, I'm not going to drop a bill to get one just yet when I have this shot timer sitting around gathering dust. So long as the CO2 is strong, the CED7000 works. In fact, the timer will tell me when the CO2 is getting weak because it stops picking up shots. That's somewhat useful for consistency, plus I can just set a par time if I must milk every drop from the CO2 cartridge. This is getting epic but let's keep going. I set up my homemade IDPA targets, made myself some kydex from various scraps and went to blasting. I'll be honest, it was actually pretty awesome. The gun never malfunctioned once and because the entire day cost me $10.00 in CO2, I probably shot 350, 400 rounds. I didn't break the gun, I didn't have to fiddle with it or fix things, nothing. Changing CO2 and filling mags with BBs takes the same or less time than reloading firearm mags. I scored some drills from pistol-training dot com and practiced virtually all the stuff I would practice with a firearm and had a damn good time doing it. No ear protection, shoot in the shade, shoot in any direction (in a rural community where the next house is half a mile) - stuff I don't get when shooting a firearm. I said this before, it's not a replacement, but let's face it, it makes shooting more fun when you can relax, not worry about money, and mix up the dynamics of the range safely. Steel BBs can cause harm, so there is no reason to get lax with the safety and I believe this improves gun handling in situations where you aren't just standing on a range with one safe direction for that muzzle. The bottom line? So far this gun works and appears to be well made. I foresee a paint job in its future just for giggles and I'm having fun getting back on the range for very little money. 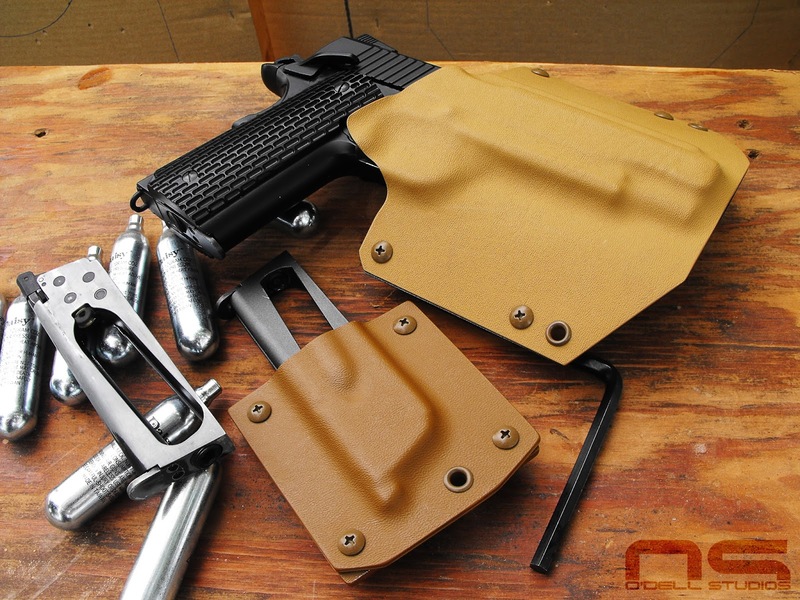 The way the gun is designed you are forced to do slide release reloads from slide lock - it cannot be sling-shot charged because the notch for the slide catch does not nudge the catch down when you draw the slide fully rearward the way a real 1911 would. Beyond that, I've got nothing to complain about. Ok, that's a lie. I talked about the base pad issue in Part 1 and that holds true. I dumped every mag, on every reload on the ground, and with a grassy range that's fine. I am still skeptical about just how well they will fair on harder surfaces and pads might not save them given their weight. 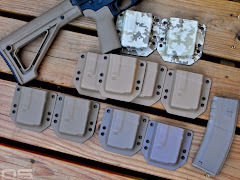 All the same the pads do more to assist the reload itself and I think I might be in luck. I found a new airsoft version of this gun WITH base pads on the mags. It's only a matter of time .... I hope. 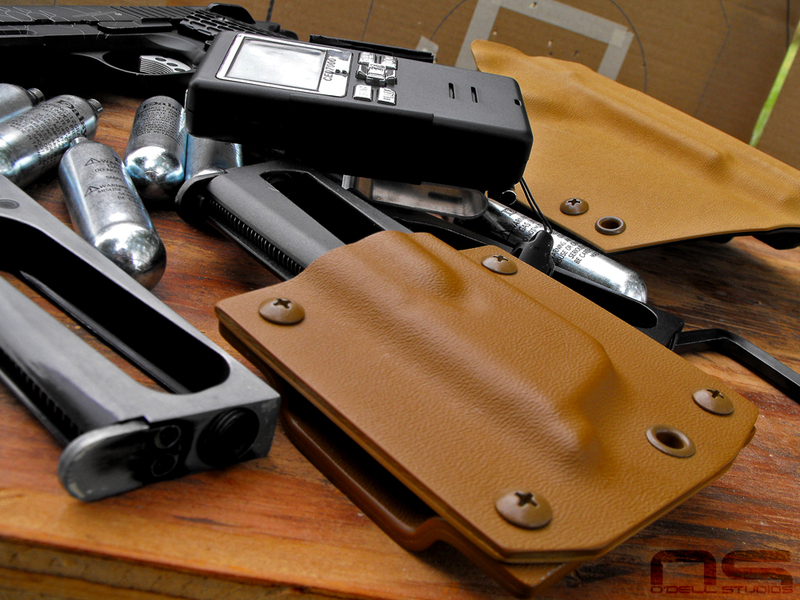 Didn't get too fussy about my Kydex work, just needed something to get going. Bunch of CO2 got released into the atmosphere that day. There is the CED7000 and all the necessary equipment for a good day. If you recall from Part 1, I had some issues with the mag not dropping free. About 5 minutes with a Scotch Brite pad fixed that problem and now that magazine (the one on the left of the image) is shiny! The others work fine. I just used whatever I had for the holster but it works great. This is the 26662 drill. One round on the 2 inch circle, three in the 6 inch circle, then one on the other 2 inch circle. This works some important skills; good hits after a draw, transitioning from easy to hard targets and you can throw in a reload to mix it up. It only takes 5 rounds and you can see I got a 3.76 at the time of this pic. You can see my 5 shots are counted and I had .68 between the 4th and 5th shot. That's the transition between an easy target and a more challenging target. You can also see that I missed the little targets plenty so this is a great way to work on controlling your gun. Decided I needed to include my short list (and wish list) just in case someone cares - in the order they should probably be made. These are no-brainers. - Glock 19/17: doesn't matter which, probably both eventually and possibly a 34. - Smith & Wesson M&P: I think the .45 would be cool, probably the 9mm makes more sense. - CZ SP-01: whichever. Though there is a gun very similar to this that recently came out. 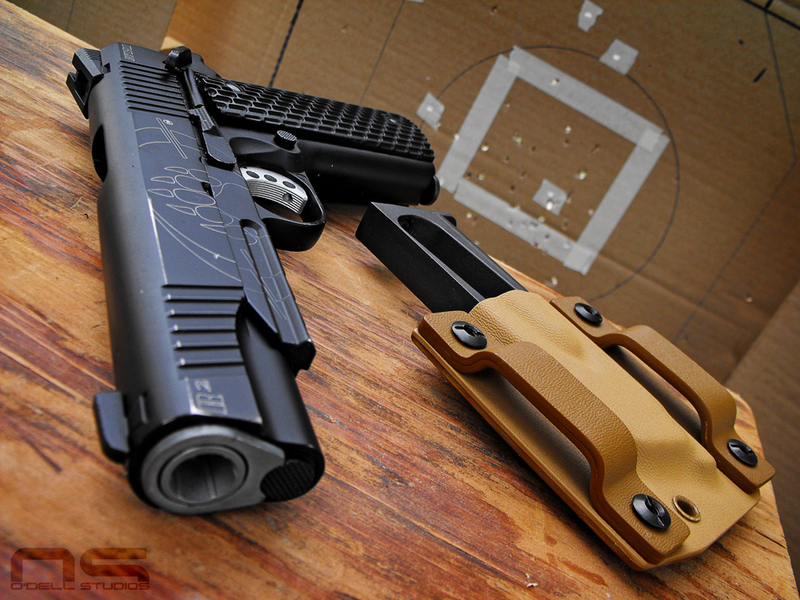 - SIG something: the X-Five already exists so I personally want a P229 with the beavertail. 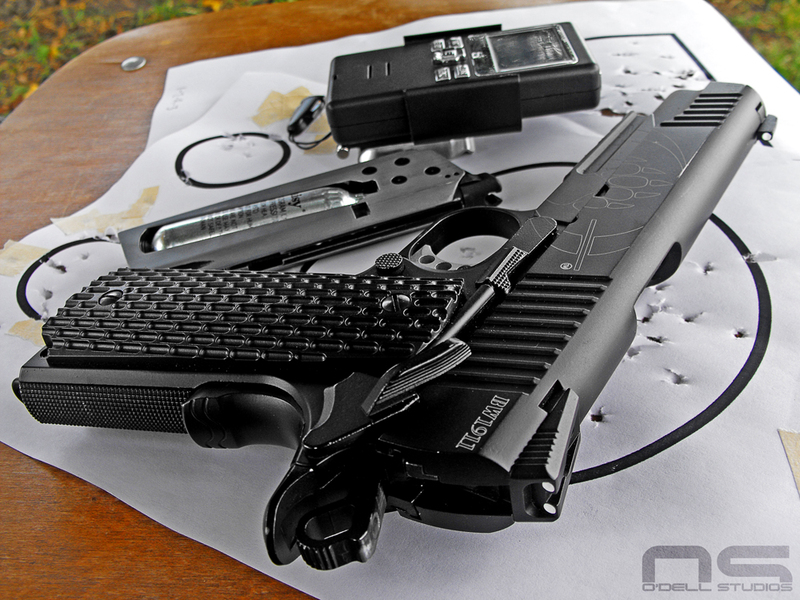 - Commander length 1911 with full length dust cover, rail and bobtail. 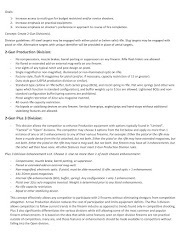 Or a copy of Fusion Firearm's T-Comm. This really belongs at the top. 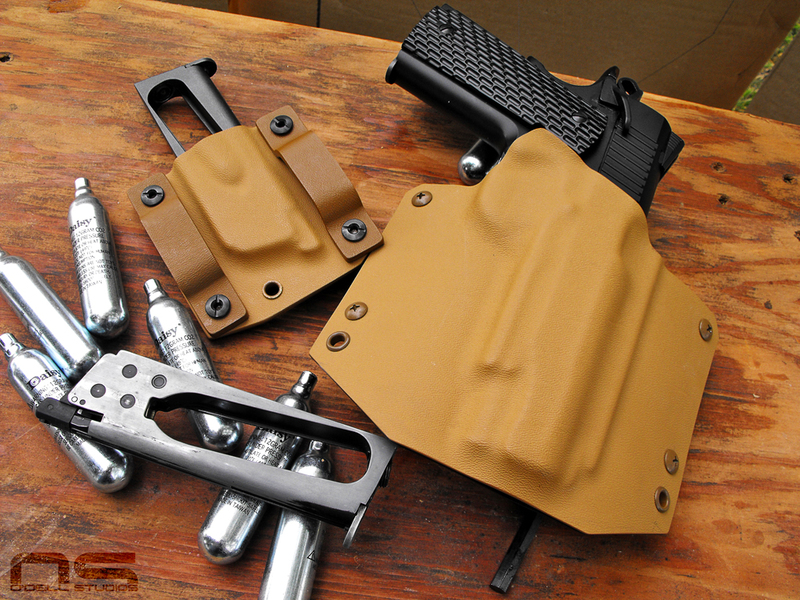 - A Timberwolf Glock would make me want a Glock. - Custom Hi-Power: modern fixed sights, beavertail, ring hammer, extended safety. 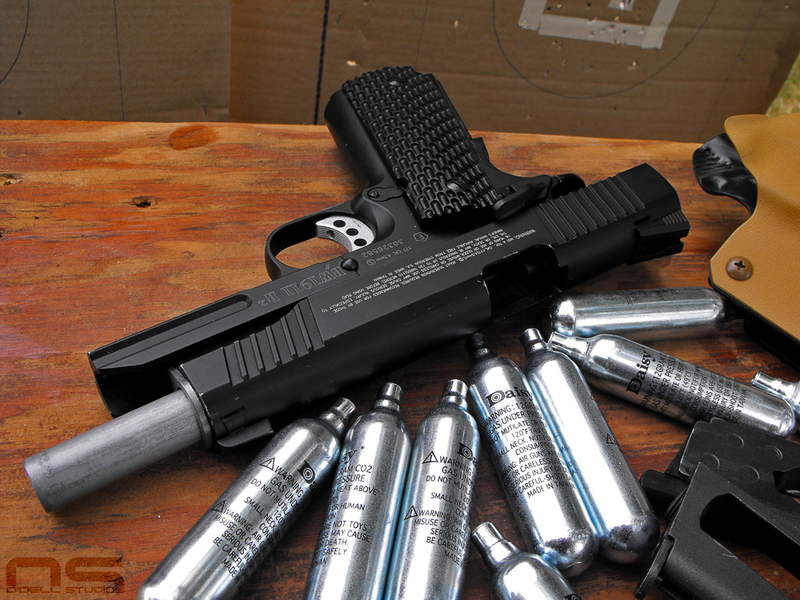 - Thread the inside of the outer barrel (of all guns) to accept a suppressor adapter - just for cool factor. Or offer extended threaded barrels or whatever. - Detonics MTX: I just discovered this and it's pretty wild so just for fun. - EAA SAR K2: for something different. It's like a CZ and SIG got mashed together. So I was on youtube watching reviews and such, when the particular guy I was watching started going on about how his stuff was worn looking and you could tell he spent time using the item before reviewing it. In fact he went on saying that if that wasn't the case when he watched reviews, he would turn them off. Makes sense, and often I do the same thing. I think the grail of reviews are those made for a product the owner has used for an extended period of time and used at least as hard as the product was meant to be, or harder. Everyone likes to hear about the firearm that's at the multiple thousand round mark and the failures encountered along the way or lack thereof. Budget reviewers almost seek to prove that an inexpensive or affordable product will last and perform well, requiring them to really spend time with it. In fact, there are times where certain reviews are completely pointless if you discover that the reviewer hasn't even used the item, or used it very little. 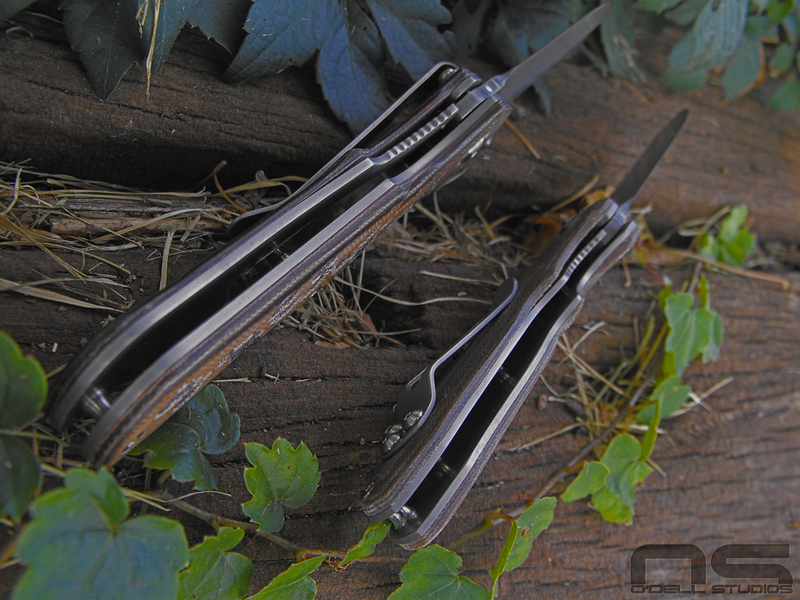 But it made me wonder, can the same be said for EDC folding knives? Not really. 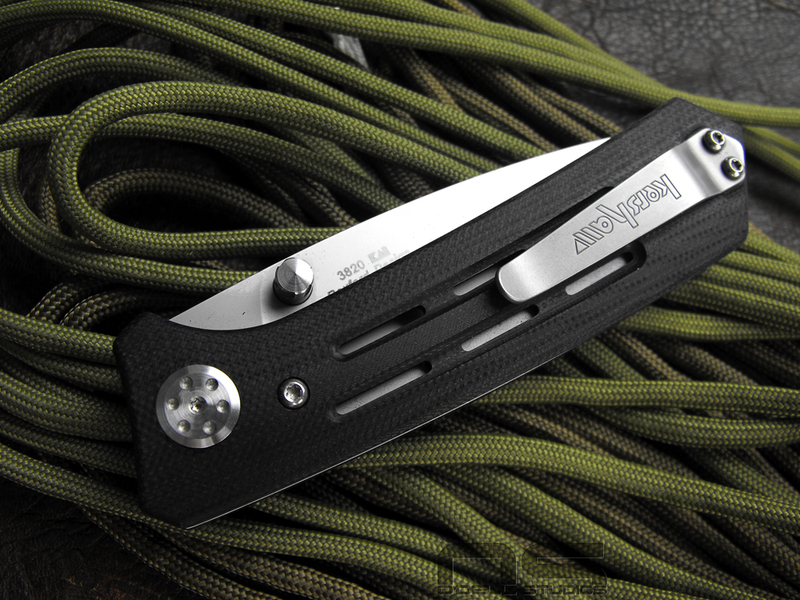 Exactly what would you want to know about a simple folding knife that you can't get from reading about it and looking at it? I'm not going to abuse it for testing because I'm never going to abuse it in daily use. It's not an abuse tool. I get cutting tests but let's face it, the steel is a known quantity, it'll cut cardboard right up until it won't anymore. I've gutted and cleaned more deer with "cheap" knives and been perfectly satisfied in the process than I can count. My father (and other members of my family) is typically involved in these situations and split countless sternums with an inexpensive lock-back since I was a kid. At this point I've also taken a fair number of folders apart and gleaned some knowledge of the effects of lower quality parts. At the same time, I did buy that Christmas special Gerber one time and it was complete garbage, so yes, there can be bad cheap folders in spite of their simplicity. When liner locks were a newer concept I'm sure it was quite simple to find a poorly made one with such lose tolerances it rendered the knife unsafe. Bottom line in all this rambling? 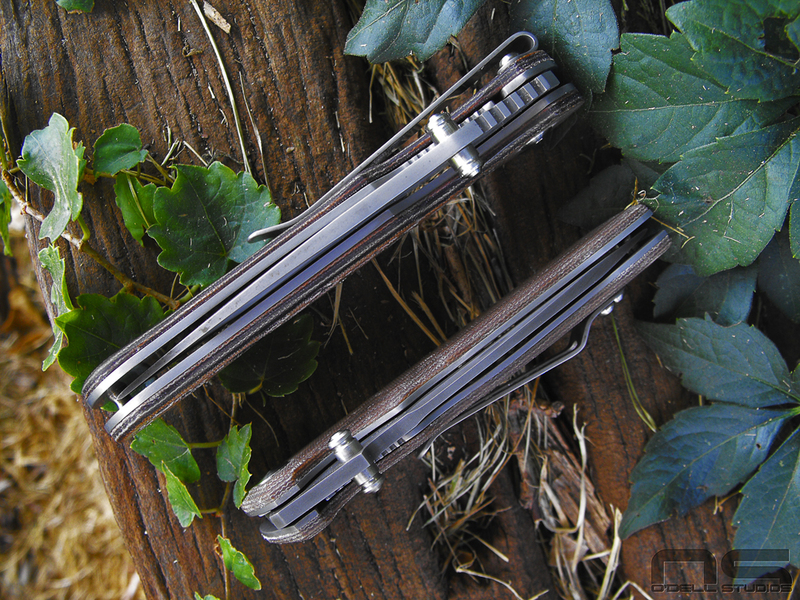 If you are a knife enthusiast then simply holding one probably gives you a pretty good idea as to whether you want it or whether it is a junker. For a lot of us, that simply isn't an option - you see it on your computer screen and that's about it. So my goal is to provide pictures that get you very close to touching it, and give my impressions of the same features you would likely look at yourself. 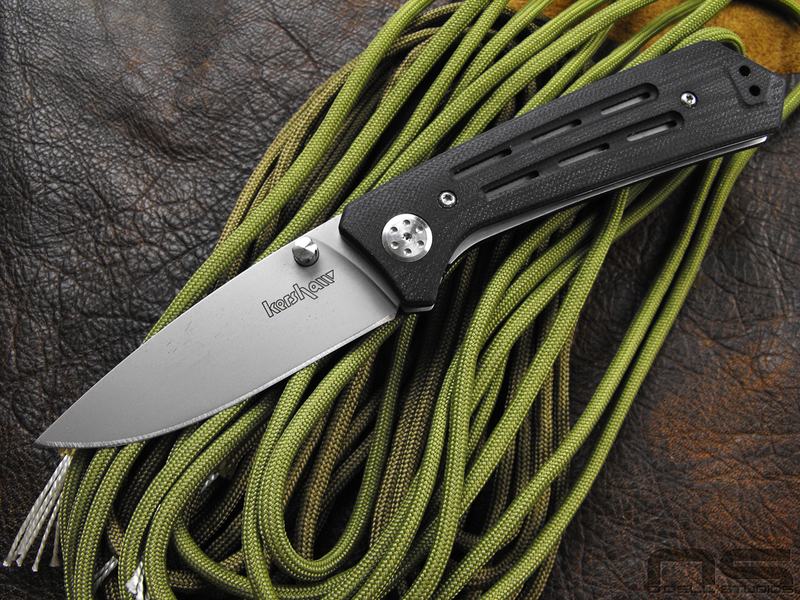 If you're looking at getting the Kershaw Injection it's because you like the way it looks and you want a nice design at a fair price. 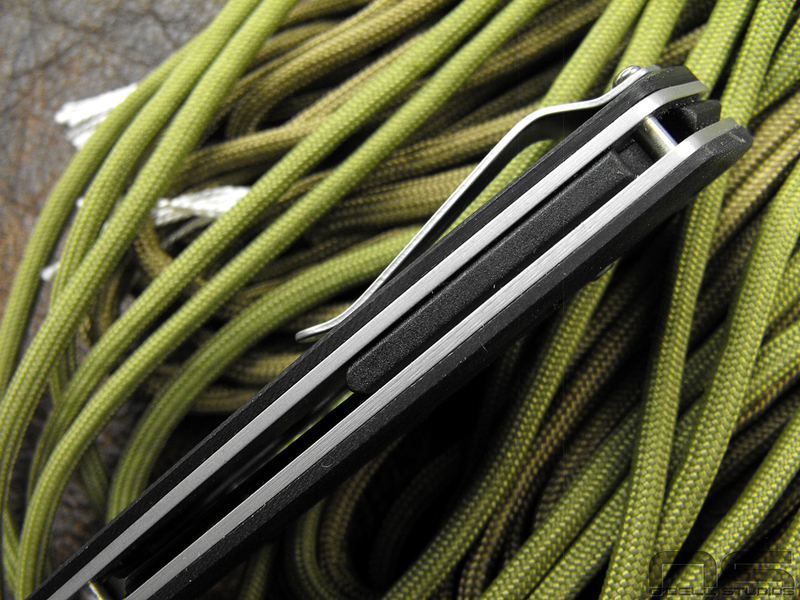 The Injection is an EDC blade using lower priced materials and high end design. I don't have to use it much to determine that it is exactly that. Let's get to the pictures. 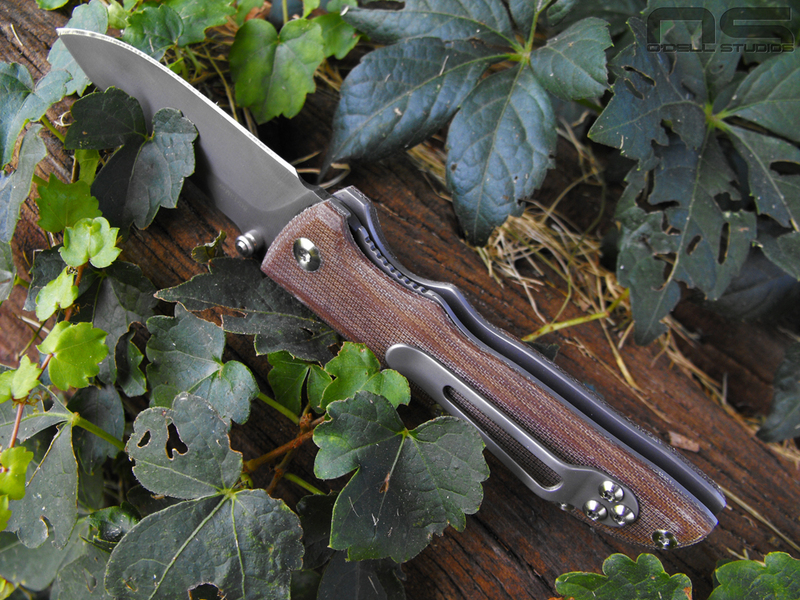 So as I was saying, this knife is a pure everyday carry unit. 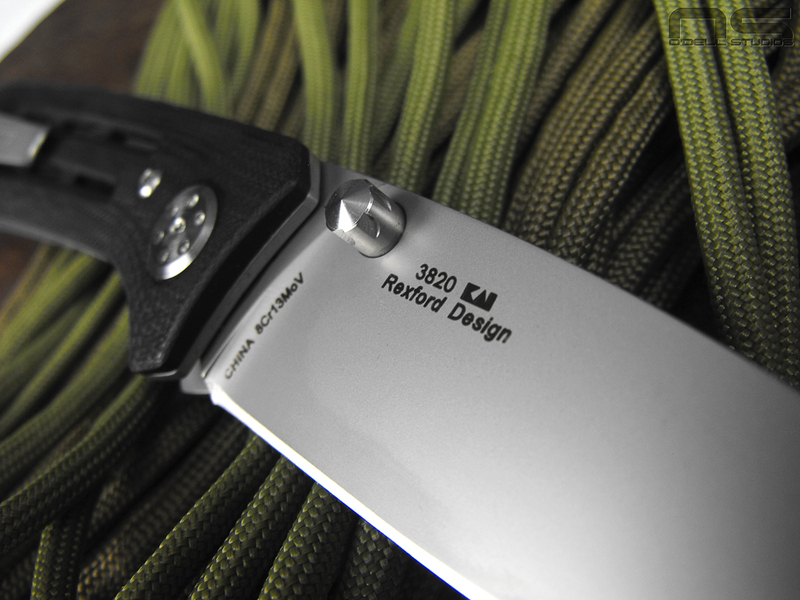 Kershaw is simply offering high end design by Todd Rexford using affordable materials and production manufacturing. That to me is its purpose in life. 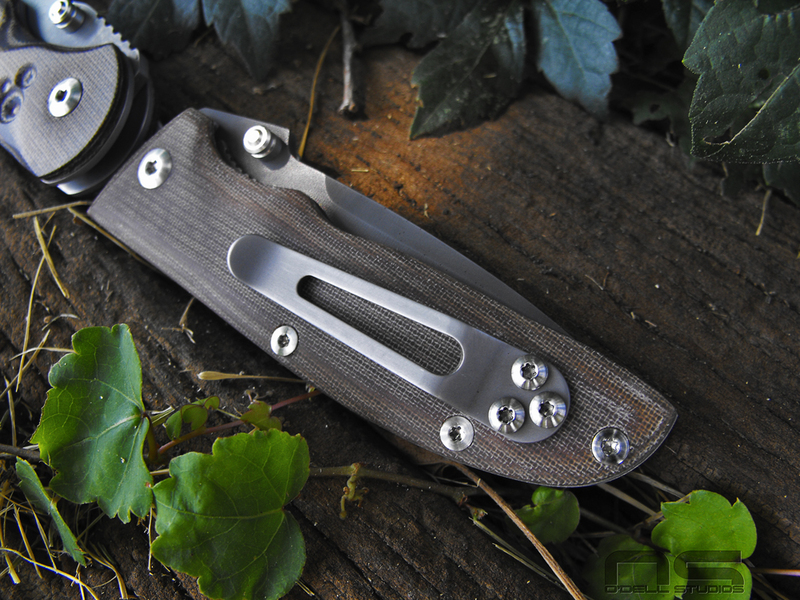 It's got a few nifty details like the thumb stud, the pocket clip that actually looks like it belongs on the knife, the pivot and back spacer. The scales are screwed to the liners rather than pillars and the back spacer does the support work. 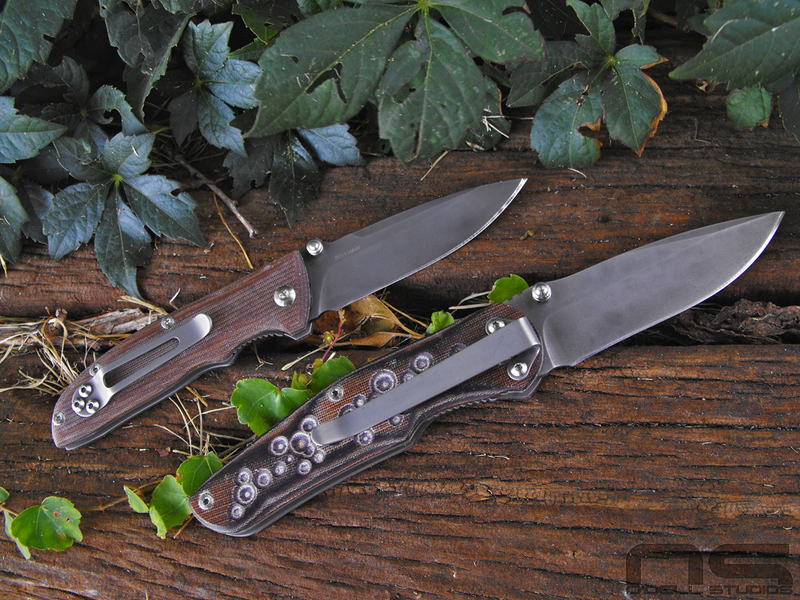 To me these are relatively unique features in the affordable liner lock folder world which reinforces the notion that high-end design is the highlight of this knife. 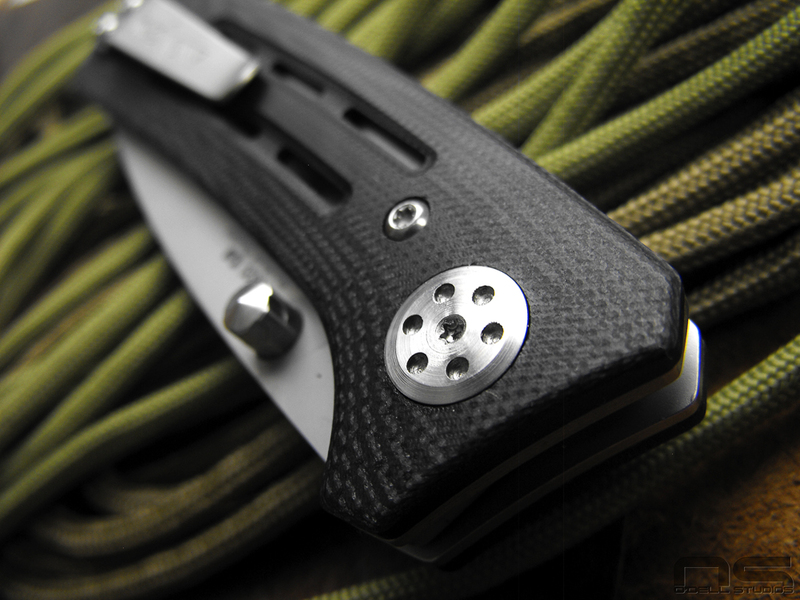 The G10 scales are completely machined which gives them a dry, tactile feel and comfortable shape. Some people have to have their jimping and I guess I understand the theory. If it is jimping for the thumb we're talking about let me toss this out - why not just put your thumb against the thumb stud? Speaking of the thumb stud, it's pretty sweet if you ask me. 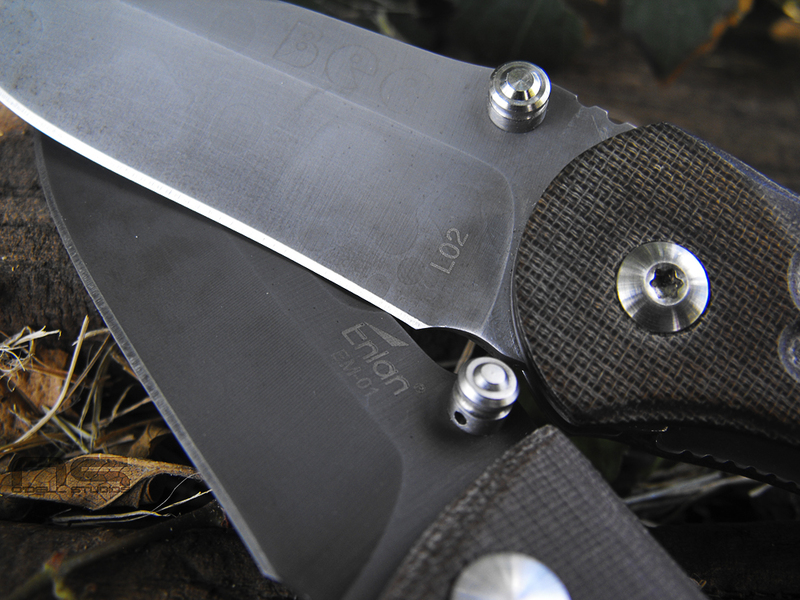 There you can see a little blade detail, that silky smooth Kershaw blade finish, and a nice full flat grind. What else have we got? I saw someone knock the pivot for looking like something you'd find on a Chinese knife. 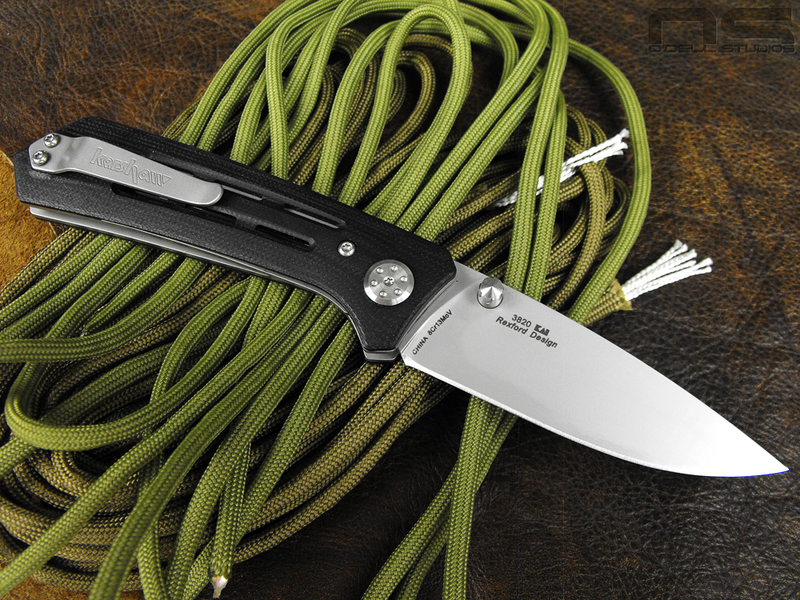 I'm sure that's true, but no doubt the idea came from US knives and if you Google Todd Rexford you're going to see he uses pivots similar to this. It's not as if Kershaw just told the guys at the factory to dig around and see what kind of pivots they could come up with. It's pretty nicely finished too, not perfect, but doesn't strike me as cheap and takes a Torx bit. And check that G10 while you're here. The back spacer looks plastic and is probably my least favorite part if I had to choose one, but even it is detailed. It also exposes a pin for lanyard use which I do like since I don't really use lanyards and I like that it eliminates a random hole being punched in the handle somewhere. 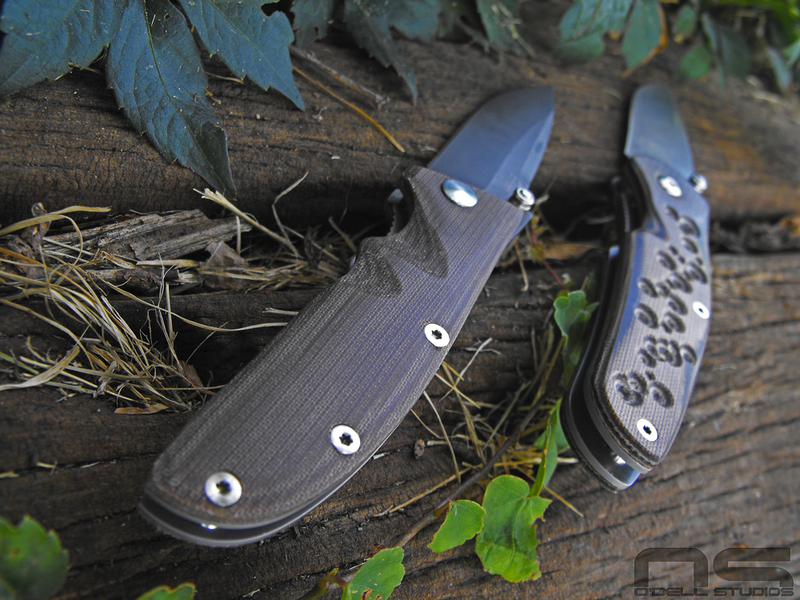 Left to right; Ontario RAT 1, Kershaw Injection 3.0, and Kershaw Cryo. 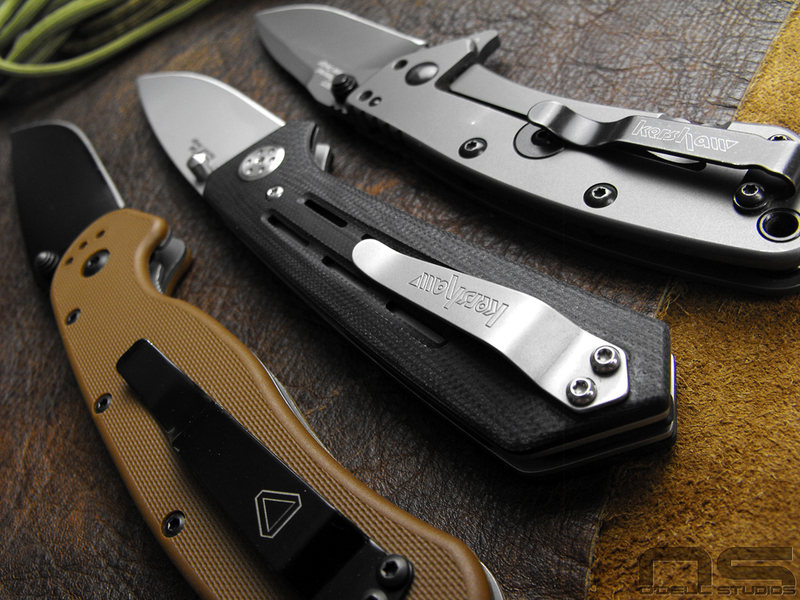 Here are some other excellent affordable folders that came along for the photo shoot. 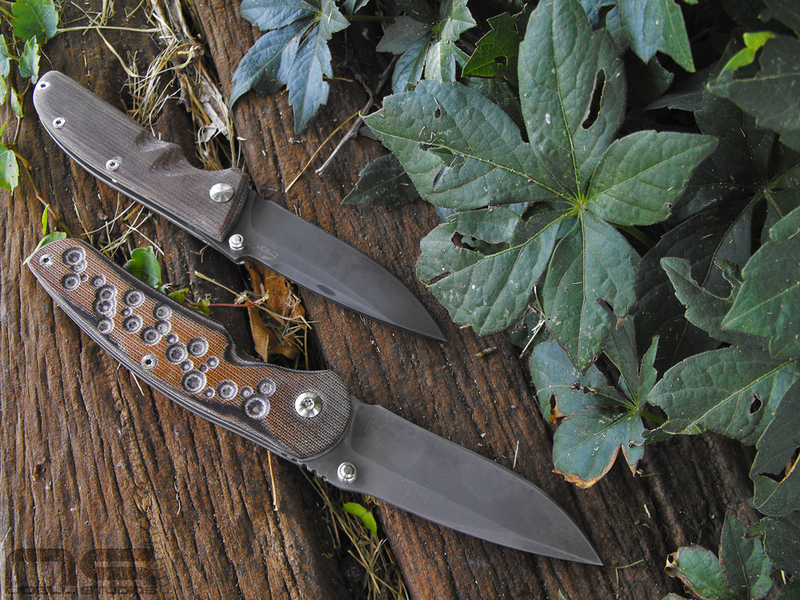 Both the washers in my example are bronze and the blade deployed with buttery smoothness right out of the box. I made no pivot adjustments and can fingernail flick it open without wrist action. With that in mind I'd say the detent is just right and the blade isn't going to find its way open without your permission. It came sharp enough to remove hair, but I can feel the burr on one side and it could be sharper. I think the final thought is on size. I got the Injection 3.0 and it's the perfect size if you ask me. It's got just a bit more handle and blade than the Cryo and doesn't feel big. I'd bet the 3.5 is a little too big and probably similar to the Ontario RAT 1 pictured above. In my hands that knife is big and is my standard for a large folder. If you like the way the Kershaw Injection looks, go get yourself one. 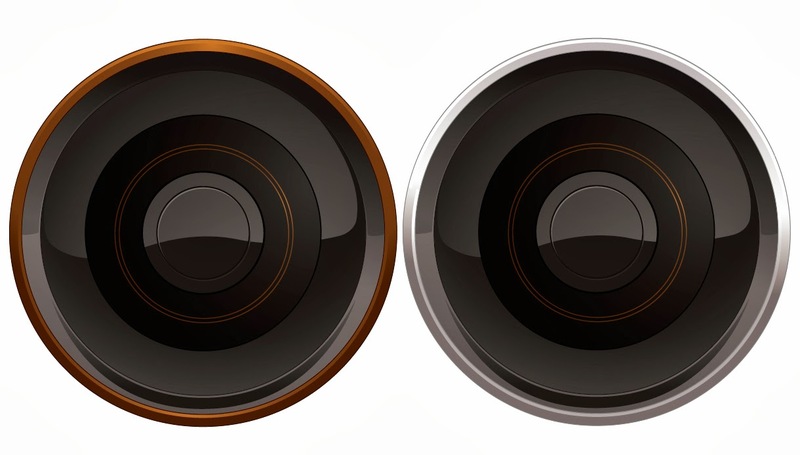 It's neatly crafted, has a particularly solid and smooth feel, and excellent design. See more images on my tumblr blog.